It's that time of month again! Time for the GadgetSyrup Beer Pick of the Month. This month's pick is from my local craft brewery, Upper Thames Brewing Company, the first craft brewery in Woodstock, Ontario. In 2015 the five founders of the brewery were discussing the lack of a craft brewery in the area. Rather than continue that wait, they decided to put their own plan into motion. Fast-forward two years later and UTBC has just celebrated their first anniversary and is riding a wave of growth thanks to their unique position as the only craft beer show in town. 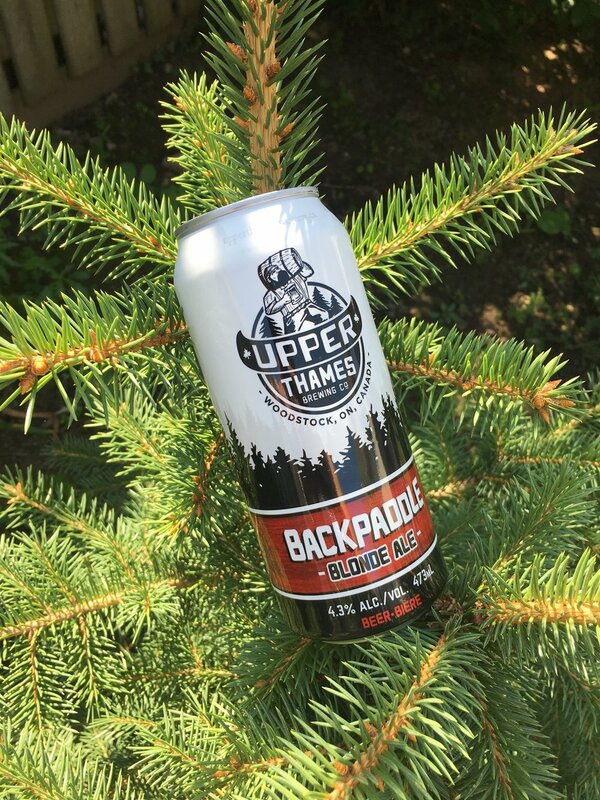 Why Upper Thames Brewing Company? Well, not only does UTBC make some really high-quality beer, made with all locally sourced ingredients, they recently celebrated a major milestone. Two in fact. First was their one year anniversary and second, which was the main reason I chose them this month, was that they made it onto the shelves of the Beer Store. Getting onto the Beer Store is not an easy task due to the incredible amount of rules and regulations in place, but to do it in their first year of operations, is a pretty incredible feat. Ok, Now Onto The Beer! 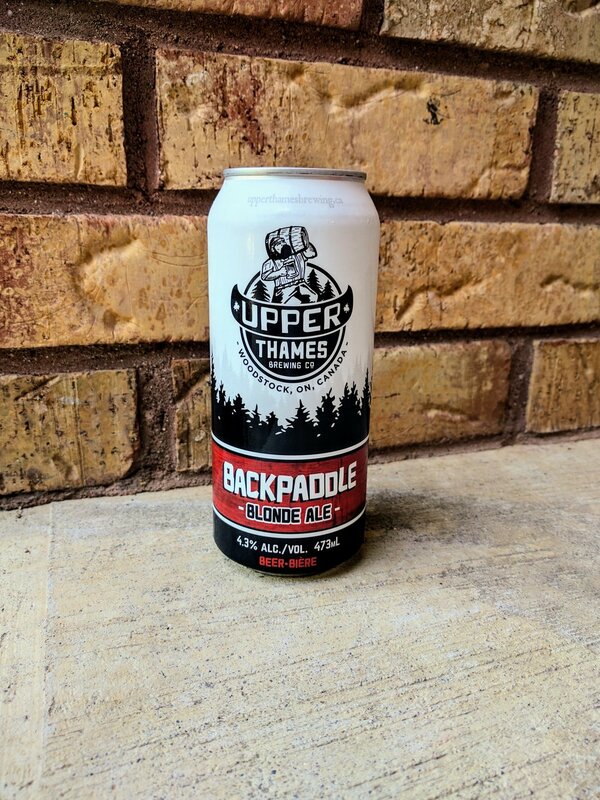 The beer I selected from UTBC is their "Backpaddle Blonde Ale", the beer now found in our local Beer Store. Backpaddle is UTBC's most popular and easy drinking beer, making it a perfect choice for the final beer pick of the summer. The pour is a delicious looking light gold colour which screams to be drank. Taste wise, this may be one of the easiest drinking blondes I've had. It is very crisp and not overly malty or sweet. I find that some low ABV/IBU blondes are too sweet and often do not finish well. This is not the case with Backpaddle. As you would assume, this is not a very bitter beer either at only 15 IBU, and the selection of Cascade hops for this beer creates a perfect citrus finish. UTBC prides itself on using local ingredients in all of their beers, and this one is no exception. The malt and hops are all sourced from farms within a 45-minute drive of the brewery. Until recently, if you wanted to enjoy any of UTBC's beers, you needed to visit the brewery and take your selection home in a growler. This is not a problem if you are hosting a party or having a few buddies over to sample the brew with you. However, to commit to a growler all on your own will likely not end well for you or the beer! You will either fall flat from drinking it all in one sitting or the beer will go flat if not drank fast enough! Point is growlers are great, but if you're like me and want to have a variety of different craft beers on hand, a growler is not the most appealing option. To get Backpaddle into the Beer Store, growlers wouldn't cut it. So, continuing the trends of other firsts for UTBC, Backpaddle was their first beer offered in a tall-boy can. This is a pretty significant step towards opening their brand up to a much larger audience. 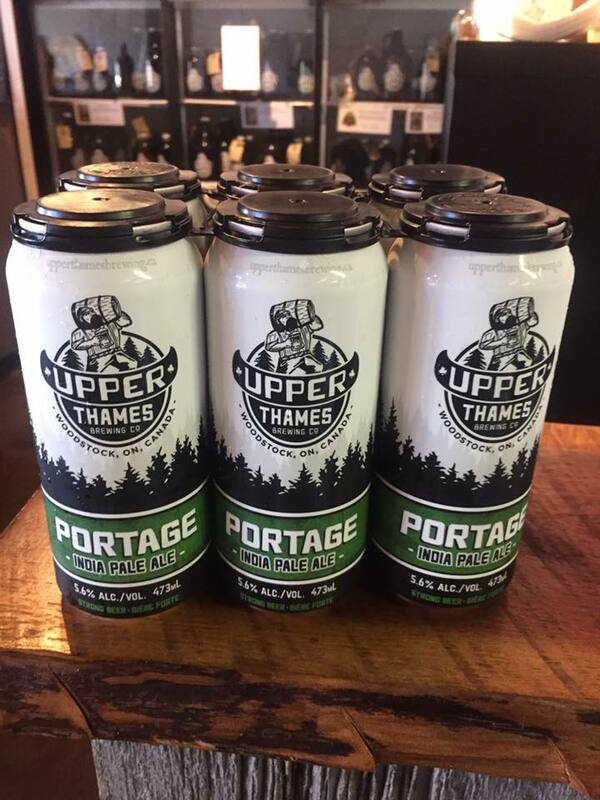 Also worth noting, UTBC just released their second tall-boy beer, their Portage IPA. 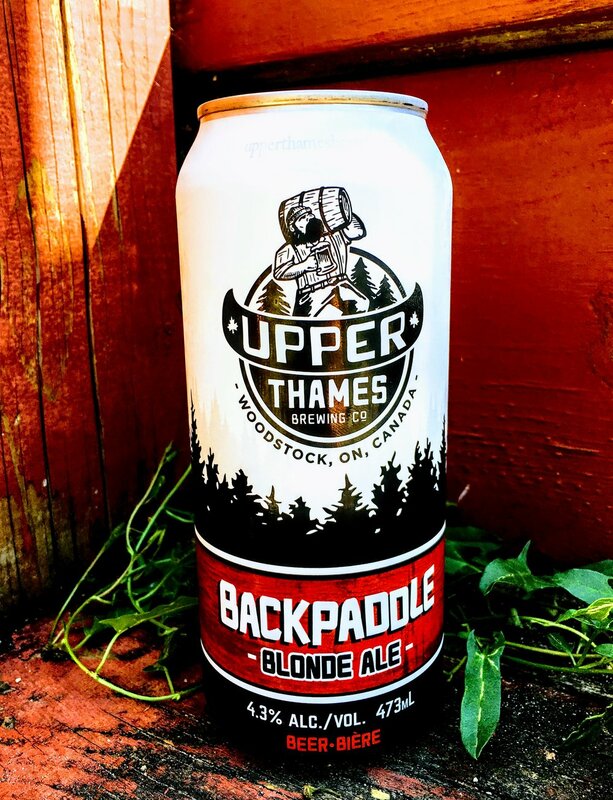 Getting your hands on Backpaddle and other UTBC beers is getting easier thanks to their exceptional growth in their first year, however, they are still relatively hard to find unless you're in Woodstock. With that said, if you happen to be in the area swing by the brewery or beer store and try this one out. You'll be glad you did! Don't forget to check out previous Gadget Syrup Beer Picks HERE, and let me know what your favourite craft beer is in the comments!